With the weekend over, it’s now time to look at another set of discounts and deals on a variety of technology products. Cyber Monday 2018 is in full swing, and several retailers have once again started to offer gadgets and other items at discounted prices. So, if you’re on the prowl for a MacBook Pro from Apple, we’ve got some deals from B&H for you today. Head over below for the details. Before we get to the details, here’s an ethical disclaimer. 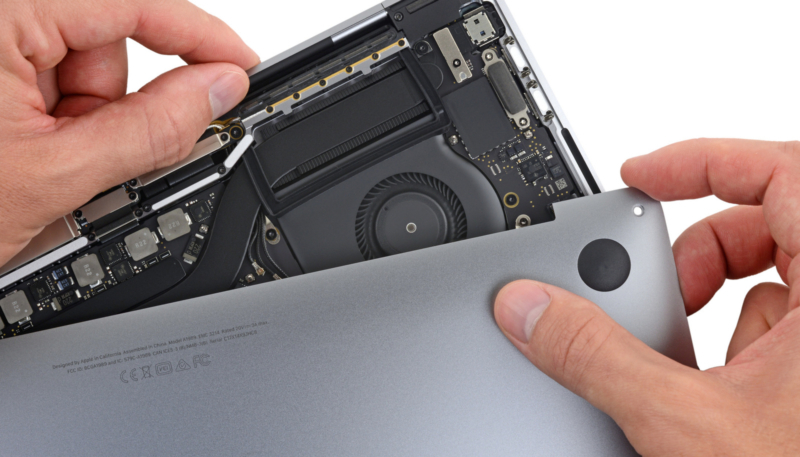 The value of discounts offered by B&H decrease as the MacBook Pro’s retail price goes down. So, while the Core i9 variant of the 2018 MacBook Pro with 1TB storage is on a $500 discount, the 13.3″ Mid 2017 variant is down for only $100. However, this isn’t a consistent pattern. With that said, let’s jump in. Apple 15.4″ MacBook Pro with Touch Bar (Mid 2018, Silver): In a massive discount, the 15″ 2018 MacBook Pro with Intel’s 2.9GHz Core i9 processor and 1TB of internal storage is available at a $500 discount from B&H. You can purchase the notebook for $3,399 right here. Apple 15.4″ MacBook Pro with Touch Bar (Mid 2018, Space Gray): Another big $500 discount this Cyber Monday is on the 2TB variant of the 15″ 2018 MacBook Pro powered by Intel’s Core i9 processor clocked at 2.9GHz. You can avail the discount right here. Apple 15.4″ MacBook Pro with Touch Bar (Mid 2018, Silver): The 2018 MacBook Pro with a 15″ display, Intel’s Core i9 clocked at 2.9GHz, 32GB RAM and 1TB storage is available for $3,349 from B&H after a $450 discount. You can avail the discount right here. Apple 15.4″ MacBook Pro with Touch Bar (Mid 2018, Space Gray): The 2018 MacBook Pro with Intel’s Core i7 clocked at 2.6GHz, 16GB RAM and 512GB storage is available for $2,399 from B&H after a $450 discount. You can avail the discount right here. 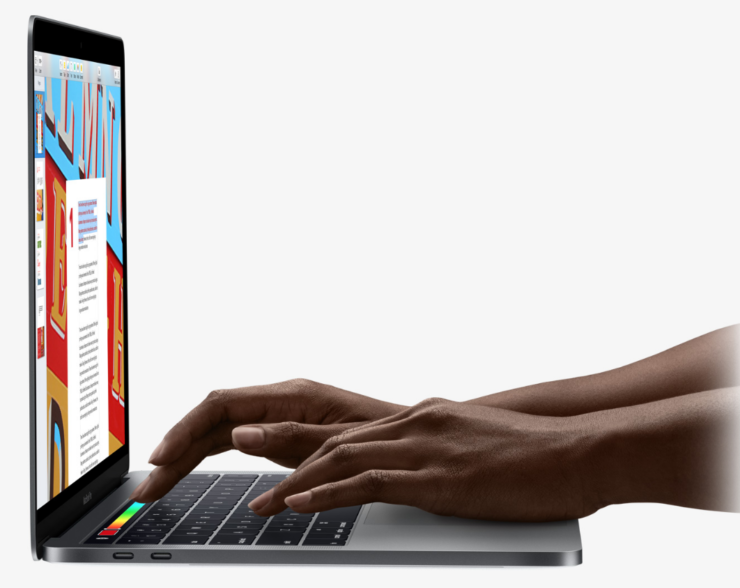 Apple 15.4″ MacBook Pro with Touch Bar (Mid 2018, Silver): The silver variant of the 2018 MacBook Pro with Intel’s Core i7 clocked at 2.6GHz, 16GB RAM and 512GB storage is available for $2,449 after a $350 discount. You can avail the discount right here. Apple 15.4″ MacBook Pro with Touch Bar (Mid 2018, Space Gray): The 2018 MacBook Pro with Intel’s Core i7 clocked at 2.3GHz, 16GB RAM and 256GB storage is available for $2,099 after a $350 discount. You can avail the discount right here. 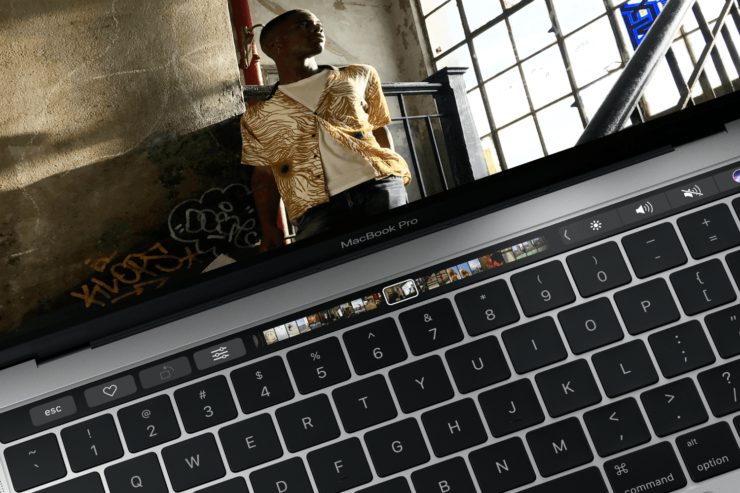 Apple 15.4″ MacBook Pro with Touch Bar (Mid 2018, Space Gray): A higher spec’d variant of the notebook above, running on a 2.6GHz Core i7 with 32GB RAM and 512GB storage is available for $2,999 after a $200 discount. You can avail the discount right here. Apple 15.4″ MacBook Pro with Touch Bar (Mid 2018, Space Gray): Running on the Intel Core i7 clocked at 2.3GHz, with 16GB RAM and 512GB internal storage, this variant of the 2018 MacBook Pro is available for $2,399 after a $200 discount. You can avail the discount right here. Apple 13.3″ MacBook Pro (Mid 2018, Space Gray): The 2018 MacBook Pro powered by Intel’s Core i7 clocked at 2.7GHz, 16GB RAM and 512GB storage is available for $2,299 after a $200 discount. You can avail the discount right here. Apple 13.3″ MacBook Pro (Mid 2018, Space Gray): The 2018 MacBook Pro powered by Intel’s Core i7 clocked at 2.7GHz, 16GB RAM and 1TB storage is available for $2,699 after a $200 discount. You can avail the discount right here. Apple 13.3″ MacBook Pro (Mid 2018, Silver): The 2018 MacBook Pro running on the Intel Core i7 clocked at 2.7GHZ, with 16GB RAM and 512GB storage is available for $2,299 after a $200 discount. You can avail the discount right here. Apple 13.3″ MacBook Pro (Mid 2018, Silver): The 2018 MacBook Pro with Intel’s Core i5 clocked at 2.3GHz, 16GB RAM and 512GB storage is available for $1,999 after a $200 discount. You can avail the discount right here. Apple 13.3″ MacBook Pro (Mid 2018, Space Gray): The 13″ 2018 MacBook Pro powered by Intel’s Core i5 clocked at 2.3GHz, with 8GB RAM and 512GB storage is available for $1,849 after a $150 discount. You can avail the discount right here. Apple 13.3″ MacBook Pro (Mid 2018, Silver): The 2018 MacBook Pro powered by Intel’s Core i5 clocked at 2.3GHz with 8GB RAM and 512GB storage is available for $1,849 after a $200 discount. You can avail the discount right here.